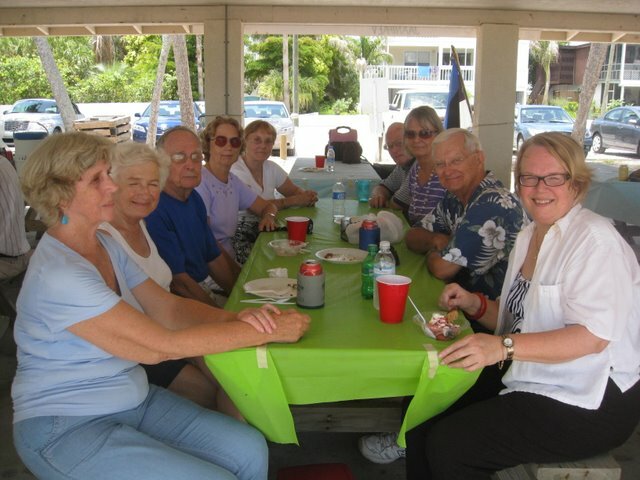 On Saturday, June 26, 2010, Kesk Florida Eesti Selts members celebrated Jaanipäev under a shaded pavilion on beautiful Anna Maria Island, Florida. Members of the Kesk Florida Eesti Selts enjoy great conversation at their Jaanipäev picnic. 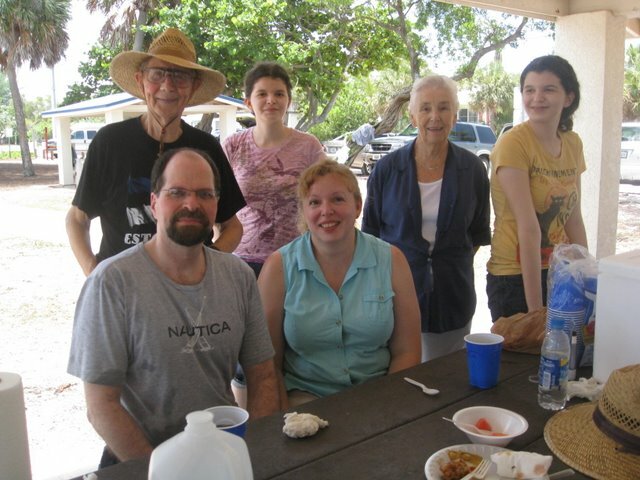 The Jaanipäev celebratory picnic on Anna Maria Island is a long-standing tradition of the Kesk Florida Eesti Selts. Three generations of the Leena and Väino Aare family are the biggest supporters of the celebration. In fact, Leena and Väino have been the picnic’s financial underwriters and grill chefs for years. The entire Kesk Florida Eesti Selts and our guests extend a huge THANK YOU to Leena and Väino for their generosity and friendship. Väino and Leena Aare with their son, daughter-in-law and twin granddaughters. 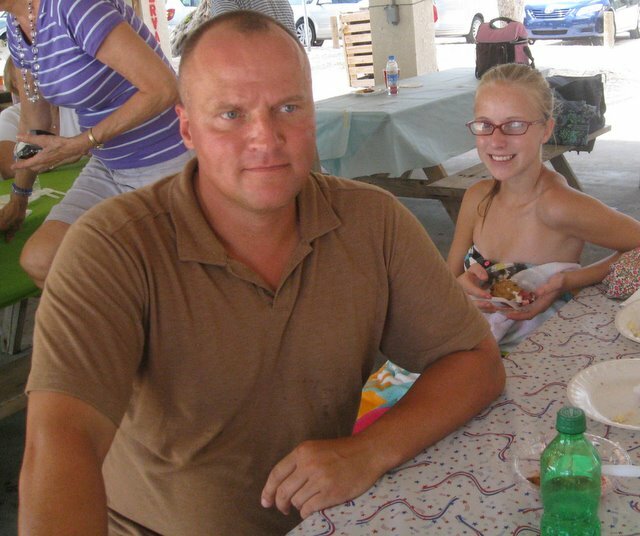 Estonia is proudly represented at U.S. Central Command at MacDill Airforce Base by Meeme Kuningas, who also finds time with his daughter to support the activities of the Kesk Florida Eesti Selts. We salute our Estonian troops and the Estonian armed forces as we remember our fallen and departed soldiers as we commemorate Võidupüha each June. Members of Kesk Florida Eesti Selts come from across the northern and southern and eastern and western regions of Tampa Bay. We are always happy to welcome visitors to the area, so please continue to visit this web site for news about upcoming activities and please join us! We speak English and Estonian!